630K PDF Contract between Superintendent Cheatham and the Madison School District. a. The annual evaluation shall occur in closed session. c. All forms used and report formats requested as part of the evaluation process shall be collaboratively developed and mutually agreed upon by the ADMINISTRATOR and the BOARD. 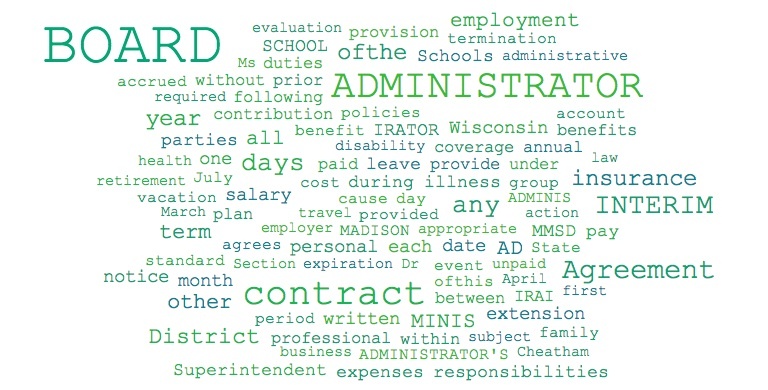 Related: A Look At Compensation Packages for Wisconsin School District Superintendents. Yet, reading, an issue for years in the Madison School District, remains a disastrous problem.